The thing I appreciated about this list — besides the fact we ranked #69 — was that it is by all appearances a very realistic reflection of what people are reading right now. The “mommy blogs” get a lot of traffic that is never recorded, so it seems appropriate that Women of Faith should be #1 on this list. It was also good to see veteran bloggers like David Hawyard and pastor Pete Wilson continue to make top traffic lists. But there were also several new ones here that I need to check out. This is a great list, and I can’t recommend using it as a resource when you’re surfing online for some stimulating thought. Click here to see all 100. Once again, Kent Shaffer has sharpened his pencil, put new batteries in his calculator, and revved up his computer, which uses a formula known only to NASA scientists and U.S. Defense Department contractors, and has come up with his latest list of the top Reformed/Calvinist Christian blogs. 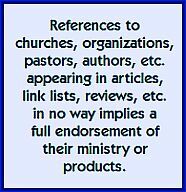 Actually, he calls it “church blogs” which may reflect the preponderance of pastors in the list, though five of the top 20 are not clergy. And once again, this blog — the one you are reading right now — failed to make the top 200 because of a minor technicality; that technicality being not having enough readers and subscribers. But as I say each time, I like to think we’re bubbling under the top 200 in that 201-210 range. You can read the complete list by clicking here. But promise to come back, okay? 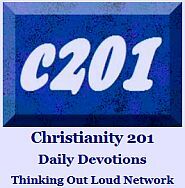 I suppose if you want to draw a lot of traffic to your blog, all you have to do is notify a number of the hottest blogs that they have been “selected” to appear on a list of the Top 98 Christian Blogs, and then watch as they mention your site and engage the question; Why 98 and not 100? That’s what the people at Christian Counseling Degree did — nope, it’s not going to be linked here; they’re getting enough traffic — last week. I’ve actually seen their list before, and I’m not 100% sure that they even bothered to do an update. We’ve written a few times about lists like these and how it’s pretty subjective at times. We’ve come to the conclusion is that, in general, our audience is mature enough to handle these types of lists and see them for what they are: Lists. A couple of them haven’t posted anything new in six months; instead of being “top” blogs, I would call them “dormant” blogs. 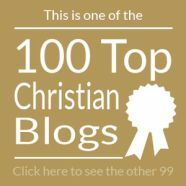 The list is very strongly biased toward blogs with a bent toward Reformed theology; it doesn’t stand up to the test of being a true list of the top Christian blogs, because Christianity is so much wider than a single denomination. Okay, so now you’re curious. Fine. Go ahead and read the list, but read it at John’s Church Crunch blog. I still refuse to give in. When you have a minute, check out this blog’s blogroll. There’s a site section called “Oh, Oh, The Places You’ll Go;” which is a mixture of various websites; but then further down the page is a list of just blogs called “A Sampling of My Weekly Blog Stops.” If you hover your mouse over each one, you’ll see that some of them comprise a wide range of doctrinal perspectives, including a Quaker, Charismatic, Catholic, Wesleyan; and writers in the U.K., Australia, South Africa supplementing the usual suspects in Canada and the U.S. The list Kent Shaffer posts annually is also a little skewed doctrinally — perhaps Calvinists just blog all day while the rest of me is out saving the world — but is much more scientific. Click the image below to see the entire list. The above reference to Reformers reminded me about another group that does a lot of talking, Christian academics. Here’s my concerns with that group, as expressed in January, 2009. The predominance of Reformers and “New” Calvinists in the Christian blogosphere may represent the kind of necessity that exists when you’re spearheading a change in direction or starting a new movement. I see that happening in so many ways, as I wrote just a month ago, in August, 2010.